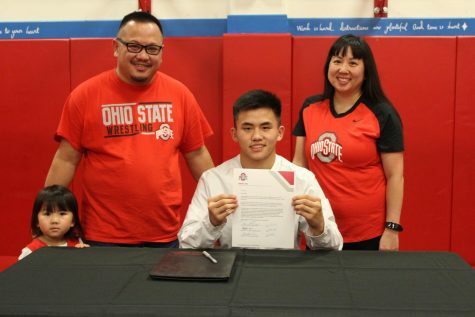 Kue Signs To Wrestle At Ohio State! 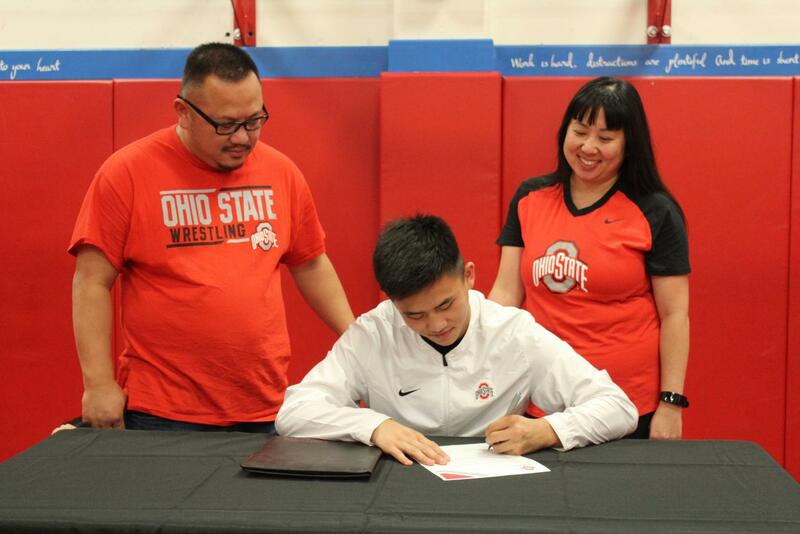 Two-time Oregon wrestling champion Phillip Kue committed to Ohio State yesterday. Coaches and teammates gather around Philip Kue. “It’s kind of a relief. I don’t have to deal with all the decisions during the season or later on in the year. I’m definitely super excited,” he says. 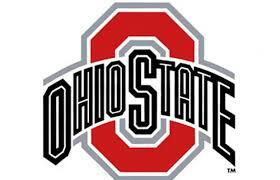 “My aunt works there (Ohio State), she kind of talked to me about it and I went there last summer and fell in love with the campus, the whole structure. I love the team, I love the people, everything is nice. I feel like I could fit there. It’s for me,” he adds. “I’m not on a full-ride but for what I’m getting I’m super blessed. What they’re giving me, no other program in the nation could give me a better scholarship than that. With them being the best college for wrestling in the nation and for school, I can’t ask for better,” says Kue. Phillip Kue’s mom signs for the scholarships. “I am extremely proud and happy for him,” says his coach of the last four years Ehren Schneider. 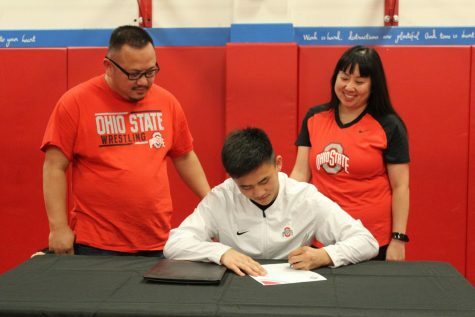 “(After signing) He is focused and committed for (the rest of his high school) career and the (Centennial) program,” he adds. 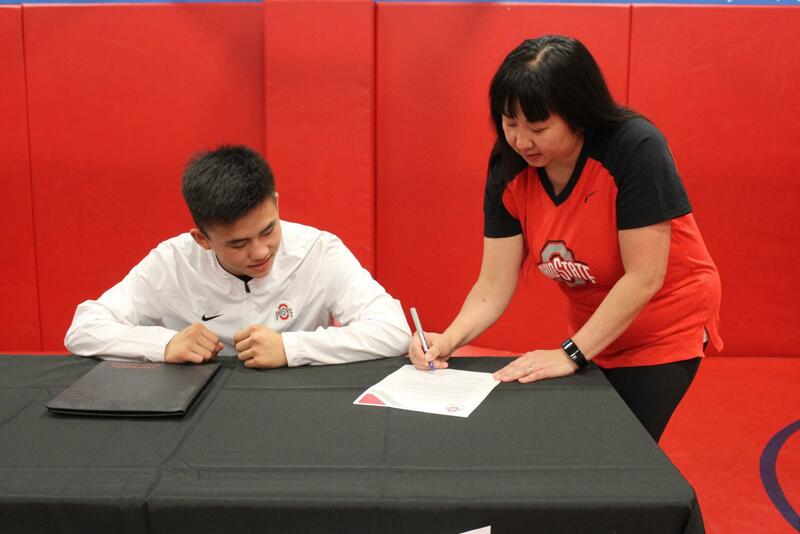 Kue signs his letter of intent. “His hard work is paying off, but we’ve got unfinished business, Phillip needs a third state championship,” says Schneider. Kue’s sister (left), dad and mom (right) smile proudly as he holds up his signed letter.